A great hunt for a great price, PLUS the opportunity to add a second deer! Archery deer season is September 15 through December 31. *You can hunt with a crossbow during archery season in Nebraska. License and tags are over-the-counter. The average archery deer score between 120 and 155, with the best bucks being in the mid 170 range. Opportunity rate is close to 100% on 125″ deer and better. Hunters may hunt a second deer, for a small trophy fee. The price on this hunt will blow your mind. Success rates for archery deer hunts are typically around 40%. 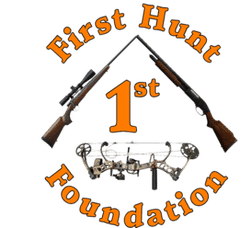 This is a great archery deer hunt due to the sheer abundance of game, and the opportunity to harvest two Pope and Young animals on the same outing. You will be tree stand hunting for whitetails on private ranches. What sets these ranches apart are the sheer number of Pope and Young deer. Over the years we have been able to obtain some of the larger tracts of land in this area, and have instituted a protein feed program along with size restrictions. This has allowed us to manage our herd more effectively, giving our clients the greatest opportunity at a quality experience.